Details: An excellent choice for a personalized birthday gift for boys or girls, our high-quality canvas signs are made in the USA and are hand stretched over a wooden frame. Select one for your kids or nieces, nephews, and neighbors. 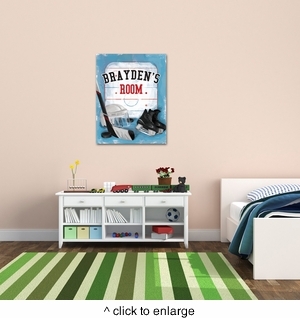 Encourage their ambitions with a sports-themed canvas sign with personalization.